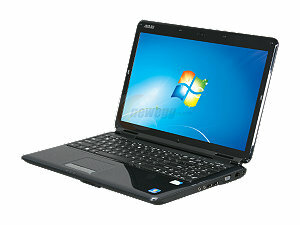 Asus K50I Review, Developer Observations « Life…as it Relates to Technology. « Visual Studio is Dead? It’s cheap. It’s fast enough, big enough, and has enough memory. Windows 7 runs “pleasantly” on this machine. That’s it in a nutshell. If you’re looking for a solid laptop for the money – this is the king (8 a.m. today, 9 a.m. could be different) of the sub $500 lappys. The processor, while sitting in dated socket 478 architecture, is much faster than either the celeron 900 (2.2 ghz) or the and v120. These seem to be the processors of choice for cheapo notebooks. The hard drive is 320 gb, which is larger than the standard 250′s that seem a staple of < $500. Interestingly, I ran a slew of benchmarks (thanks passmark.com) against this and a decked out Lenovo I7 machine w a 500gb, 7200 rpm HD and this machine had faster sequential read and write times. They were barely better, but this laptop was demolished in virtually every other test. I bought this as cheap “kick around” laptop as I can’t have my kids beating on my work machine, but I’d feel confident working on this box. Developer thoughts: in the “old days,” the first thing I would do is install visual studio, the latest dotnet framework (didn’t even care enough to spell it the way Microsoft wants me to) and the latest version of office. I installed office 2007, Java SDK, android SDK, and some PHP utilities. Microsoft Visual Studio for Free?